“The first night after she surrendered her house to foreclosure, Sheri West endured the darkness in her Hyundai sedan. She parked in her old driveway, with her flower-print dresses and hats piled in boxes on the back seat, and three cherished houseplants on the floor. She used her backyard as a restroom. The second night, she stayed with a friend, and so it continued for more than a year: Ms. West — mother of three grown children, grandmother to six and great-grandmother to one — passed months on the couches of friends and relatives, and in the front seat of her car.” This woman, Sheri West used to live in Cleveland, Ohio and is now at a homeless shelter. Even though the Fed claims the recession is over, in my opinion I don’t even they believe it. Our current unemployment rate is hitting 10% and there are no rapid actions being taken to reduce this. Within the last year, 10% of overall US homes have been foreclosed according to “Foreclosure to Homeless 2009” surveys. I believe the Fed is implementing a placebo effect, which assumes the country will improve if it is optimistic. However, optimism alone will not get us out of this pickle. Real estate foreclosures were due to inadequate mortgages given to customers who could never afford them. 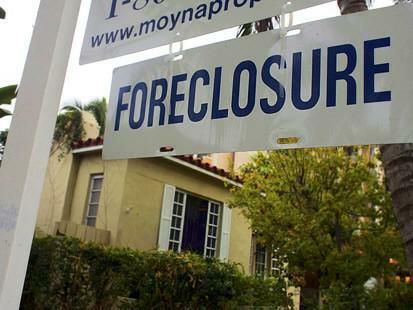 Today, one of the worst states hit by foreclosures is California. As we have all seen on television by now, there have cases of thousands of Californians simply leaving their front door keys in the mailbox and not looking back. California’s foreclosure rate was 43% in July 2008 , and it is expected to continue hovering around this rate. If the Fed doesn’t take quick action, we will have an exponential increase in homeless shelters and a lot more victims like Sheri West.